The Miles River Middle School serves students in grades six to eight from Hamilton and Wenham. It was built in 1998 adjacent to the high school on Bay Road (Route 1A). The Middle and High School share a Library Media Center, Gym, and Auditorium. 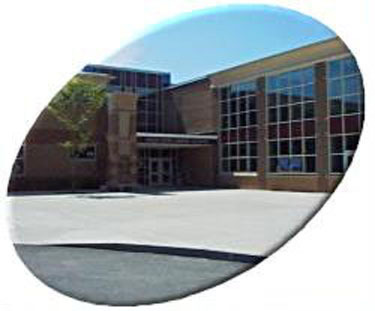 Miles River Middle School is a comprehensive middle school that serves grades six through eight with a rigorous academic program focused on the areas of Mathematics, English, Social Studies, Science, and Foreign Language. At Miles River, we work to meet the needs of all of our students through the professional culture of our faculty, by working in partnership with our families, and by incorporating principles of learning that are focused on developing ongoing and meaningful relationships with our students. Miles River Middle School supports and enhances a student-centered environment where each student can and will learn to be a productive citizen. We envision a school community where all members - students, staff, and families are continual learners. We hope that this website will contribute to our goal of communicating and sharing early and often with parents, friends, and community members. Students have access to three technology labs as well as several mobile carts.